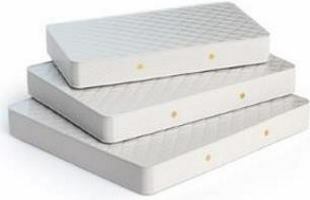 Includes 1/2 inch of Gel Memory Foam for cooling and 4 inches of 5 pound density memory foam which instantly makes sleeping more restful, comfortable, and supportive similar to zero gravity.
? NOTE: Please allow up to 72 hours for the mattress to fully expand and for any potential odor to dissipate. Glossy cherry finish over replicated cherry grain. 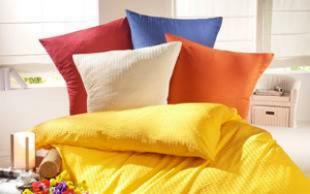 Bedroom furnishings are meant to be used in a sleeping area or bedroom of the home. This furniture consists of beds, chests of drawers, dressers and nightstands, which comprise a bedroom suite. Additional pieces can also be used in conjunction with the main pieces. How do you choose bedroom furnishings? Your bedroom is the area where you will sleep during the night and rest at other times. You should choose furniture that will be comfortable and functional. Once you decide on where to orient your bed, the other furniture should be placed in such a way as to allow for free movement from the bed to the door, especially since you may be moving around in the dark after you have gone to bed. You should also choose furniture that is stylish and to your taste and is also within your budget. You can usually get matching furniture for a uniform appeal. What types of bedroom furnishings are there? Bed: The bed is the focal point in the bedroom. Beds come in sizes of twin, full or double, queen, king and California king with twin being the smallest and king and California king being the largest. 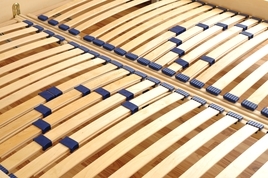 Beds typically consist of a frame that supports either single or multiple mattresses. 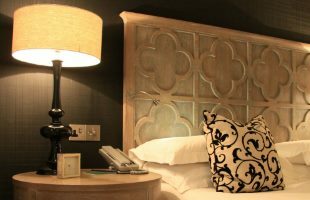 Beds can have posts, headboards and footboards, curtains and top canopies. Chest of drawers: A chest of drawers is a piece of furniture that contains drawers for clothing storage. Dresser: A dresser contains drawers to store clothes and often has a mirror on top. 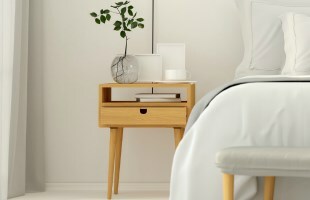 Nightstand: A nightstand is a small version of a chest of drawers and is often used to store small items and support a lamp. Clothes rack: You can store hats, scarves and other clothing items on a rack. Lamps: Lamps provide additional light to a bedroom and can come in many attractive designs. Mirrors: Mirrors are helpful when getting dressed in the bedroom. Vanity: You can use a vanity to style your hair and your face while being seated, which is more comfortable than standing in the bathroom. 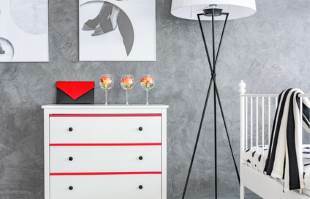 How do you care for bedroom furniture? Wooden furniture can be cleaned with furniture polish to protect and clean the wood. 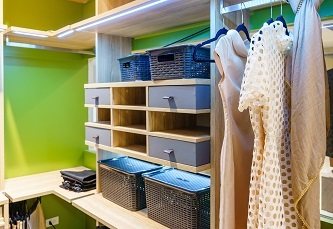 Metal, resin, glass and plastic furnishings can be cleaned with soap and water. What do bedroom furnishings cost? 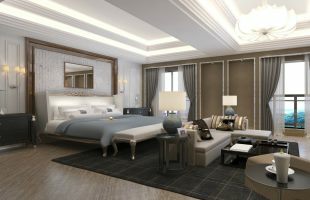 Bedroom furnishings can range in cost from inexpensive to expensive pieces. The prices usually depend on the type of material used, with exotic woods being the most expensive and resin or plastic being the cheapest. Buying furniture in matching sets can be cheaper than buying single pieces.